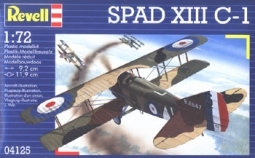 By the autumn of 1917, the SPAD XIII was used in ever-increasing numbers by the French Air Force's fighter units. 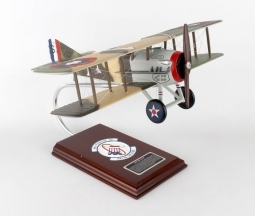 For the remainder of WWI, this fearless fighter bipe proved to be a worthy adversary when it was put in the hands of experienced pilots. 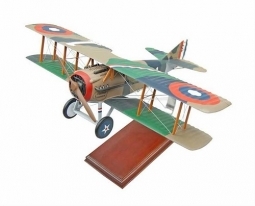 Kit features finely textured and detailed surfaces, a detailed cockpit with control column and cable runs, two machine guns, a detailed undercarriage, a finely detailed nose and grille, three windshields, finely worked wing support struts and a choice of two different rotating propellers.